An EZ DAM® intro kit contain everything you need to start working with EZ DAM®. 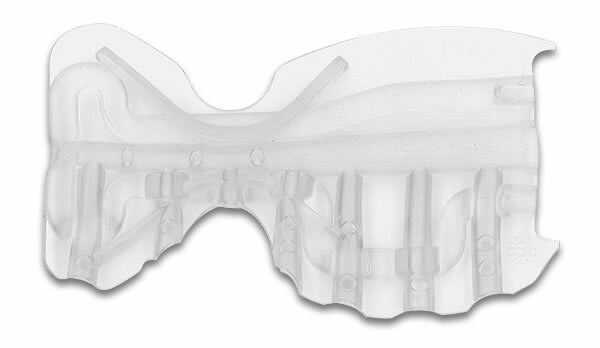 The EZ DAM® system has 2 different mouthpiece choices; “Soft” and “Retract”. 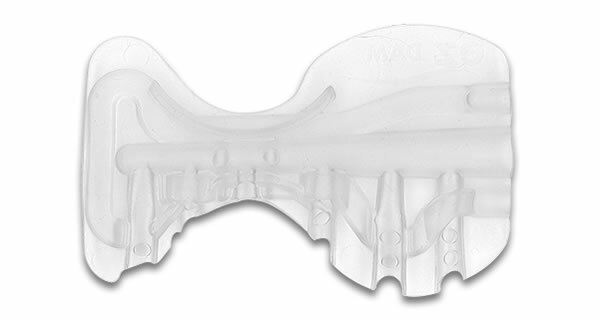 The “Soft” mouthpiece is made of a unique latex-free material called Dynaflex, which is very flexible and trimmable. The soft mouthpiece comes in both “Adult” and “Pedo” sizes and is recommended for all patients. The flexibility of the mouthpiece allows the practitioner to move freely by displacing the mouthpiece as they work around the oral cavity. The “Retract” mouthpiece is also made from Dynaflex, but is more rigid and provides better retraction. It is also trimmable and is only available in the “Adult” size. The Retract mouthpiece is recommended for patients who are tongue thrusters and or patients that have thicker cheeks. 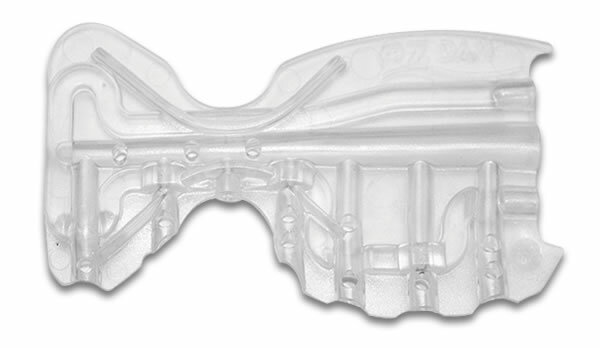 All EZ DAM® mouthpieces are disposable and are for single use only. The bite blocks come in 5 different sizes: Small, Small-Medium, Medium, Large and X-Large. The Small size bite block is great for children under 12 years of age. 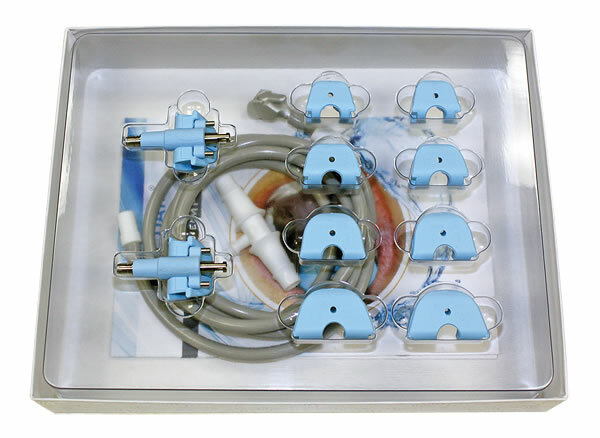 The Small-Medium bite block is ideal for small framed patients, especially females and teenagers. Medium, Large and X-Large bite blocks are fitted mostly for males. The way you gauge the bite blocks is to size the block to roughly 2/3 to 3/4 of a full mouth opening. 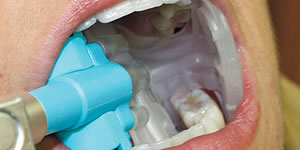 One of the benefits of the EZ DAM® system is that the bite blocks are interchangeable quickly so you can easily size up the patients. You can sterilize the ones you’ve tried in, in order to be ready for the next patient. The core is the connector that is the heart of the EZ DAM® system. 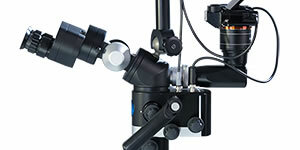 You attach the bite block, mouthpiece and suction hose to it in order to configure the system for use. 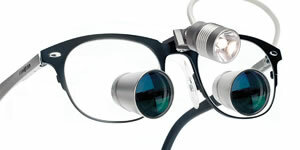 Make sure that you have the right orientation while assembling the system. The suction hose comes with a control valve for suction at the top end so you can control the suction strength right at the oral cavity. On the other end of the hose is a high volume suction adaptor so it can easily be inserted into the HVAC to commence working with EZ DAM®. This allows the EZ DAM® system to easily be used and shared in several operatories. At the other end there is a nylon stopper around the hose to provide more width for mounting support. 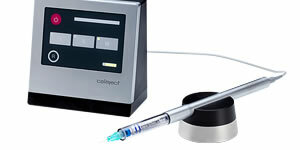 The T-connector allows you to permanently install EZ DAM® in your operatory by sharing the HVAC line. 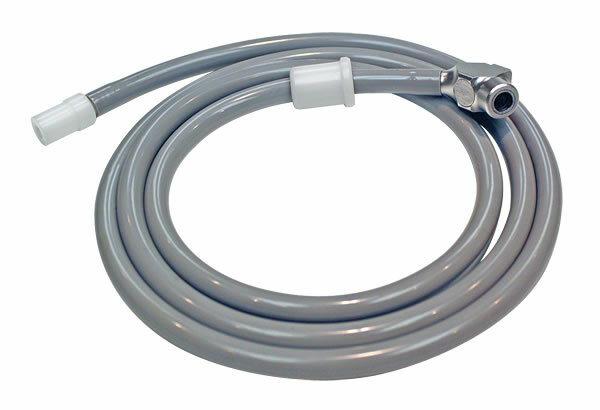 All you do is connect the T-Connector to your existing HVAC line which permits you to attach the EZ DAM® tubing in order to have both suction modalities available simultaneously.